Manage and track property maintenance jobs. Track their status, the contractor, quotes/costs and more. 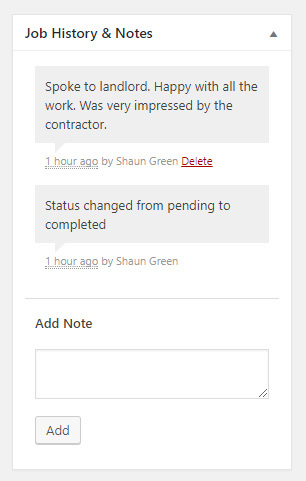 Also allow landlords to view maintenance jobs occurring on their properties. 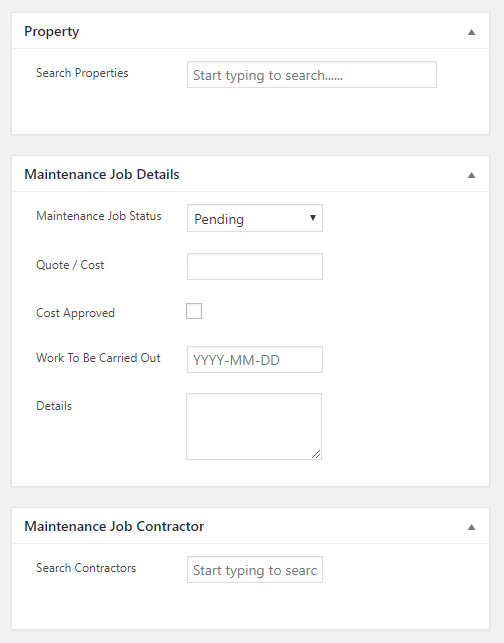 Once activated a new menu item will appear allowing you to access all of your current and past maintenance jobs. 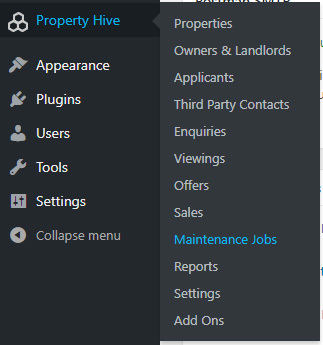 On each property record you’ll also have access to a new tab allowing you to see all maintenance jobs relating to that particular property. You can record the property that the maintenance job is relating to, details such as dates and costs, as well as the contractor responsible for carrying out any work. As the maintenance job progresses you can update it’s status. All status changes are logged so you look back at any job and see exactly when it updated and who did it. You can also record you’re own additional notes which will appear in the same activity stream. If a landlord has an account created, they can login in via your site and view any maintenance jobs belonging to their properties, allowing them to track the status themselves.